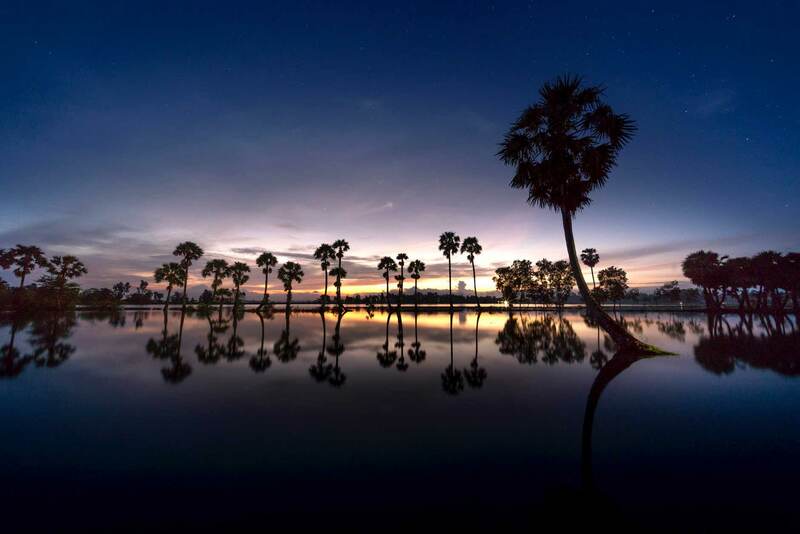 Stretching about 1,650 kilometers from North to South, Vietnam should be one of the not-to-be-missed destinations on your bucket list since the country is always stunning with wonderful sights and eye-catching sceneries. 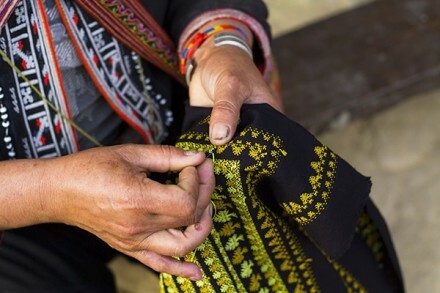 If you just have limited time for your trip, then this 5-day itinerary which covers the best of Travel Northern Vietnam can be useful for your whistle-stop tour of this region. From big cities brimming with delicious foods and traditional festivals to surreal landscapes, the North of the country will not surely disappoint you. Whether you want to soak up the hustle and bustle of Hanoi, explore the vastness and grandiosity of caves in Ninh Binh, or even enjoy a peaceful cruise and contemplate the iconic scenery of Halong Bay, all will blow your mind and help you gain much exhilaration from your vacations. Surely, there are also other fascinating places which are waiting for your discovery during the valuable vacation days off. 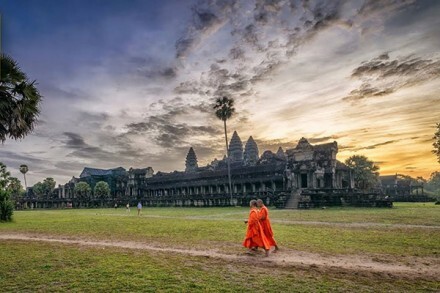 Don’t be hesitant to book a trip to explore the North of Vietnam where you can experience the intriguing history, pristine nature, inner peace of mind, colorful ethnic lifestyle, impressive adventure, and even second-to-none photography. 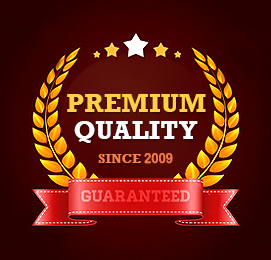 Although you will wish to do everything during the travel, trying too much may be a nightmare, especially if you have a short period of time. Fortunately, we today introduce to you the essential destinations and activities that the Travel Northern Vietnam tour can offer for indie tourists. Let’s check! 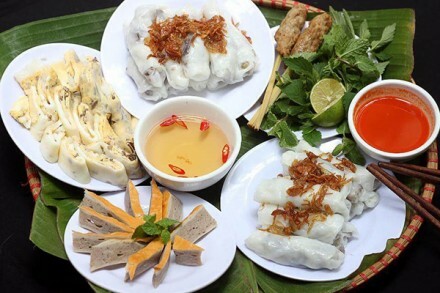 Day 1: What to do after checking in Hanoi? Hanoi should be your first stopover in this country’s capital city is a gorgeous hub for markets and museums. Coming here, you are expected to experience chaotic streets, buzzing markets, and an abundance of motorbikes welcoming you. While going for a stroll around the streets, you should not skip an early tranquil morning at Hoan Kiem Lake where the locals tend to gather there to practice their daily exercise. In addition, Temple of Literature, Museum of Ethnology, and Museum of Arts or Military are must-see attractions, too. In fact, to avoid feeling overwhelmed, it is better to consult our guide to top places to visit given by Travel Northern Vietnam tour below! As the first university in Vietnam, this spot offers you the peace and serenity at the first time of arriving. In the past, the temple was erected as a shrine to Confucius and his disciples during Ly Dynasty. It was then converted into the national school 6 years later for the royal and Mandarin’s sons. 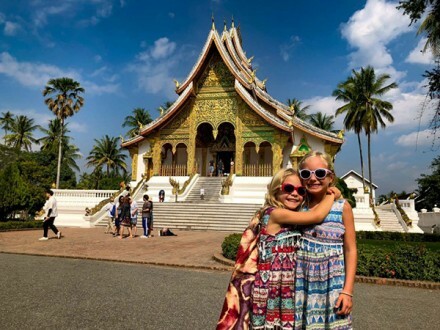 After that, the temple was opened to all kinds of students. Close to the Temple of Literature, Fine Arts Museum may be easily accessed by simply crossing the street. It is where you can witness lots of the Vietnamese artistic essences, such as paintings, lacquers, and ceramics. With about 36 streets, the Old Quarter in the heart of the capital is usually lined with numerous shops. Furthermore, there is also no shortage of magnificent architecture and history to explore in this zone. Just taking a promenade around the Old Quarter, you may hunt for various items, from the picture frames and lacquered wood candlesticks to decorative pieces. 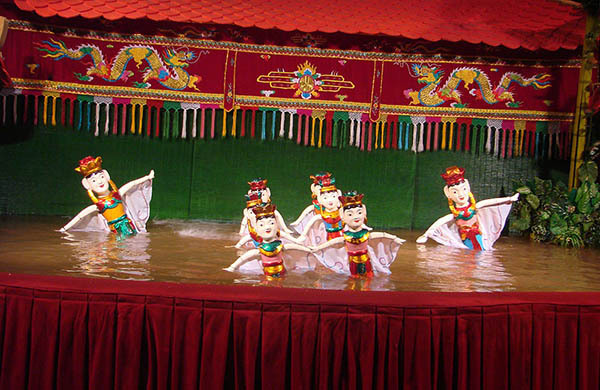 In general, puppets performances are often done in a pool of water. There are a few puppeteers who hide behind the bamboo screen and control those puppets. Watching a puppet show may help you understand more about the villagers’ life, agricultural harvests, Vietnamese culture, and dances of mythical creatures. 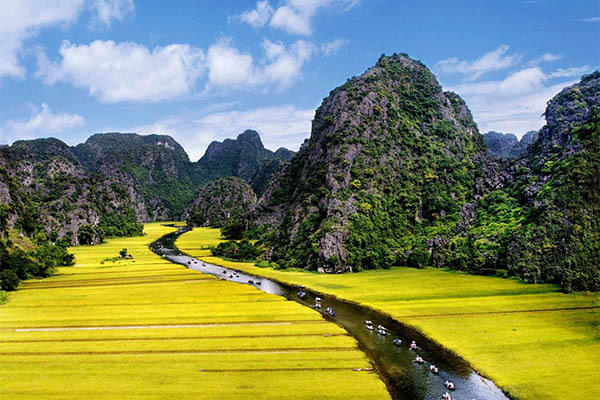 The province of Ninh Binh wins an award for its incredible and dramatic landscapes around as well as the steep-sided cliffs – a prominent part of the region. 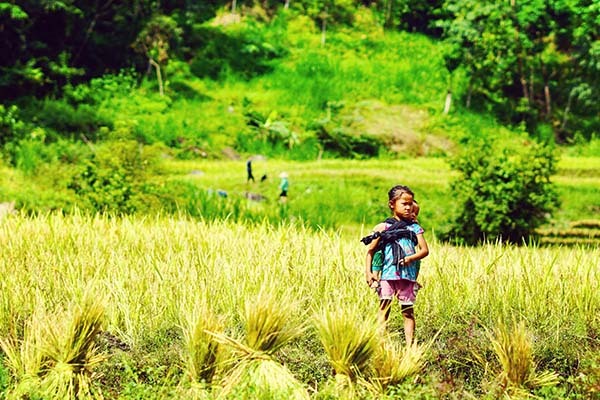 Although the town itself is quite unremarkable, you will have a chance to contemplate rural Vietnam at its best once heading further out into the countryside. 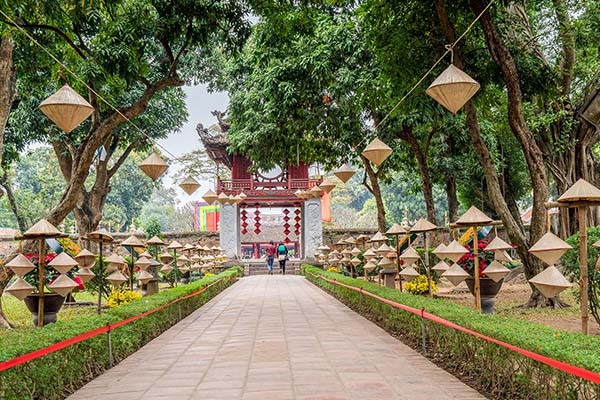 While the scenery is truly compelling and spectacular, the area is also home to several kinds of amazing Vietnamese architecture which helps to offer historical context and passionate interest to a visit to the province. Among them, Hoa Lu and Tam Coc stand out as the imposing attractions that should not be missed during a trip to Travel Northern Vietnam. As the country’s ancient capital for nearly 42 years between 968 and 1009 during Dinh, Pre-Le and -Ly Dynasty, Hoa Lu is famous for its unique location. In general, it is often surrounded by rugged mountains, breathtaking Hoang Long River, as well as the enormous field. Historically, Hoa Lu played an extreme role in the politics of Vietnam. 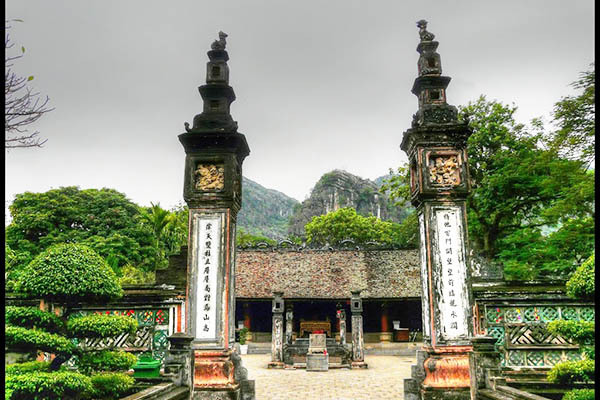 During an arrival to the capital, Dinh Tien Hoang and Le Dai Hanh should be included in the itinerary because these temples were built to worship two reputable emperors of Vietnam. It’s hard to convince others to believe that you’re traveling to Ninh Binh without making a boat tour to Tam Coc. Such destination is always a frequented tourist attraction as it is named “Ha Long Bay on land,” thanks to the appearance of picturesque landscapes of limestone mountains. Although smaller in area and numbers, these massive ranges of mountains still provide you with the same stunning view as Halong Bay in Quang Ninh Province. On the whole, Tam Coc has a system of 3 giant caves, namely Ca Cave, Hai Cave, and Ba Cave. To further discover deep inside, arranging a boat trip is a must-do activity there. You may also actually admire the eye-catching landscapes along Ngo Dong River. Besides, the raped paddy fields weaving with grandiose stone mountains bring a cool and wonderful experience for visitors, too! 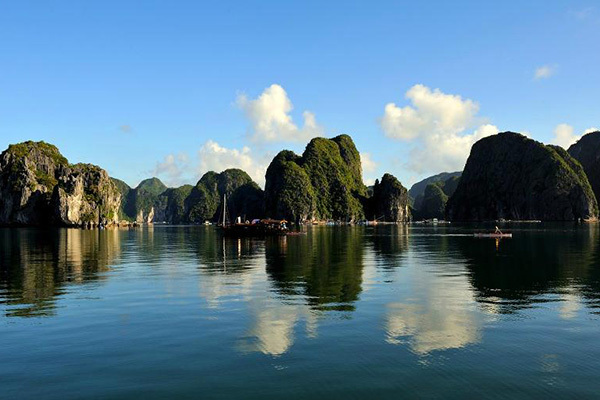 Halong Bay is described as the place where your dream of being in heaven is made. 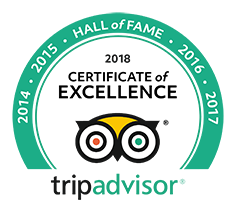 As one of the most well-known destinations in the North region, it should be ticked off in the checklist. In fact, the site was inscribed as one of the UNESCO World Heritage Sites in 1994. And you will certainly know the reason when setting foot on there. The landscape is truly popular for its huge limestone karsts that you may admire from beach or boat. Bai Tu Long Bay is known as a part of Halong archipelago. Although not as noticeable as Ha Long Bay itself, it is even more stunning to many travelers. The big difference is that the rock forms in Bai Tu Long aren’t as in diverse and particular shapes as the ones in Halong. People fall in love with such Bay at the first sight, thanks to its spotlessness, attractive marine Eco-tours, white-sandy beaches, the pure atmosphere of the sea, and abundant shape of islands. Set underneath the forest canopy and a huge stone cliff, the pathway to Thien Canh Son Cave makes visitors feel like that they are reaching the heaven. Situated in the center of Bai Tu Long Bay, the cave leaves a strong impression on you by its mysterious beauty. Apart from deeply exploring the cave, people are also fond of enjoying a cozy dinner with their family members and friends there. Another must-visit destination in Bai Tu Long Bay is Hon Co Island, or also called Grass Island. As its name suggests, the island is gorgeous and beautiful with the green cover of thick grass and other types of plant that naturally grow. Thanks to the presence of long and white sand beaches as well as calm crystal water, Hon Co Island is a flawless choice for those who long to escape from the hustling vibe and engage in a series of fun activities like swimming, kayaking, etc. Located in the center of Bai Tu Long Bay, Vung Vieng is where you will not only take a glimpse of the quiet, peaceful and impressive landscape but also have a chance to discover the cultural life of the fishermen. If luckily, it is quite possible to learn more about the arts of sailing and even casting fishnets. Just enjoying deeply the tradition beauty of Hanoi, enhancing your knowledge about historical contexts in Ninh Binh, and immersing yourself in the azure-blue beach of Halong, your Travel Northern Vietnam will certainly be a long-lasting memory of your lifetime.